The 2007/8 worldwide banking collapse exposed – to a new generation – the cyclical nature of modern capitalism’s enduring crisis. With the collapse in bank confidence came the crisis of confidence in modern capitalism itself, and thus a resurgence of interest in Marxism. But capitalism has moved on since Marx developed his economic analysis in Capital. And, although the labour theory of value may be fairly well understood within Britain’s labour movement, what is not generally grasped is the extent to which capitalism has become monopolised and dominated by the financial sector, and the degree to which the state and the monopolies are intertwined in order to maintain the system. In every advanced capitalist economy it was the state that came to the rescue in the 2007/8 crisis, reinforcing the basis of the theoretical approach of state monopoly capitalism (SMC), which was the foundation of communist, and some socialist, critiques of capitalism, before the collapse of the Soviet Union in 1991. This monograph by Gretchen Binus, Beate Landefeld and Andreas Wehr, originally published in German, revisits the discussions on SMC theory in Germany, France, and the Soviet Union, demonstrating their contemporary relevance. 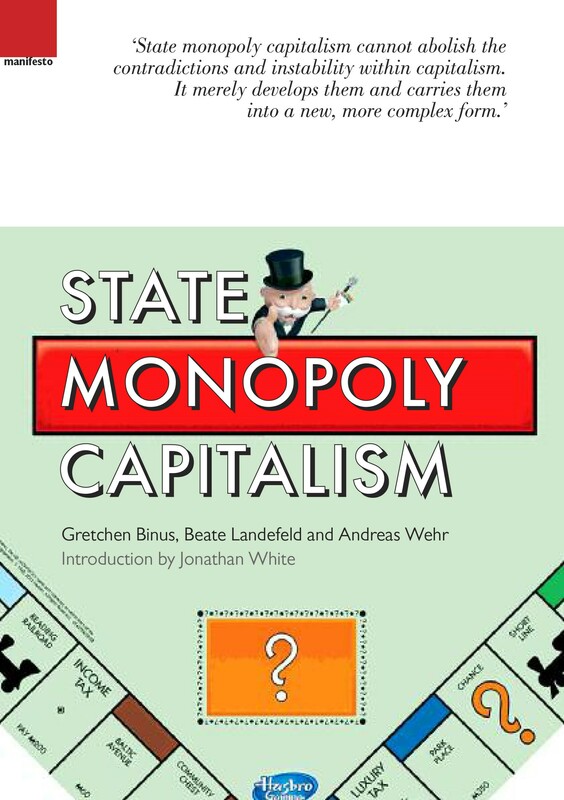 An introduction by Jonathan White considers how a better understanding of state monopoly capitalism would assist those seeking the transformation of Britain in a socialist direction. 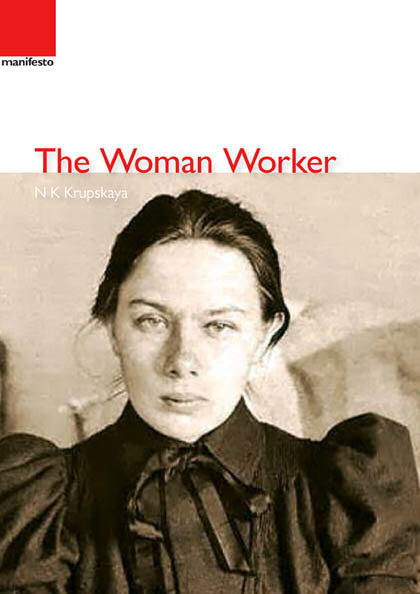 The Woman Worker was N K Krupskaya’s first pamphlet, written in exile in Siberia where she had joined Lenin, following their arrest in 1896 and sentencing to three years. Krupskaya wrote The Woman Worker in 1899 under the pseudonym ‘Sablina’. It was the first written work on the situation of women in Russia. Originally published in 1901, the pamphlet was banned following the supression of the abortive 1905 revolution. Lenin and Krupskaya came to London in April 1902 where, in what is now the Marx Memorial Library, Lenin edited the Bolshevik illegal newspaper Iskra. When, close to a century ago, the labour movement in Britain prepared to take industrial action in defence of the young Soviet Union, the ruling class was terrified. On 7 August 1920 the Parliamentary Committee of the Trades Union Congress and the National Executive Committee of the Labour Party jointly convened a Council of Action with the aim of preventing the British government from declaring war on Soviet Russia or of supplying troops or munitions to its enemies. Over 300 local Councils of Action were subsequently called into being to provide the organisational base for a general strike. Two days later the government abandoned its plans and instead backed Soviet proposals for a peace treaty with the principal aggressor, Poland. This was the first occasion on which the leadership of the British Labour movement had formally countenanced industrial action to bring pressure to bear on a ‘constitutional’ government. Its success in doing so provided both precedent and rationale for the 1926 General Strike. 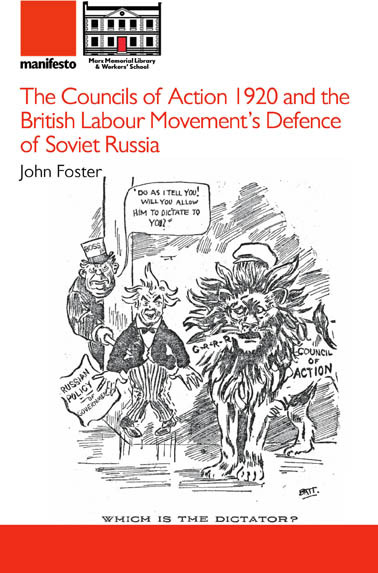 John Foster examines the Councils of Action against the background of a rising militancy and in the political context of a government divided over how to restore Britain’s power, the ideological challenges to right-wing Labour arising from the Irish national movement and Soviet power and the formation of the Communist Party. First published for the 50th anniversary of the October Revolution, this book documents the immediate and lasting effects on Britain of the events in Russia in 1917. 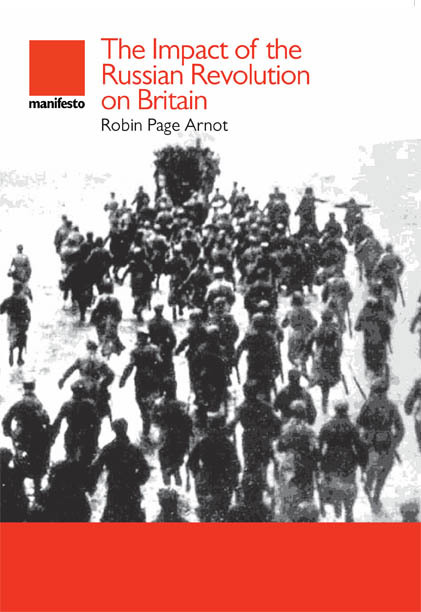 Robin Page Arnot describes the varying reactions of Britain’s press, its established political parties and its Labour movement, from the February Revolution all the way through to the Wars of Intervention. He reveals just how much the British ruling class sought to destroy the world’s first workers’ state, and the struggles by Britain’s working class to prevent that. On the occasion of the Centenary of the October Revolution, Manifesto Press is proud to make this work of scholarship, long out of print, available for a new generation of readers and students of history.